Are you the one who goes crazy over the video games? Yes? Then, you must be exceedingly choosy about the gaming laptops. After all, they’re the reason that gives you the real pleasure. Even if you have hundreds of tremendously amusing video games but if you don’t have a reliable gaming laptop, those all games are of use. That’s why here we have made your work easier. Not only for the gaming purpose but for overall usages, Acer Aspire has established itself as a big name in the market. It has 7th generation Intel Core i3-7100U processor, 4GB DDR4 memory, and 1TB 5400 RPM HDD. With its such a high functionality, backlight keyboard, 1920×1080 display, and up to 12-hours long battery life, Acer Aspire E 15E5-575-33Bm 15.6 Inch FHD Notebook is indeed a budget laptop. If you want high quality matched with rational technology in just a few hundred bucks, get this one. In this laptop, you can run almost all types of games that you want to play. The best thing you’ll find about this laptop is its long-lasting battery life. Another Acer laptop in this list but this one costs nearly thrice as much as the earlier one. You know why? Well, because this one is solely designed for the gaming purpose only. If you’re the lover of high-intensity games, you’re going to love this laptop too. With the latest 7th generation Intel i7 7700HQ Processor, 15.6 inches full HD display, and 16 GB DDR4 memory & 256 GB SSD, Acer Predator Helios 300 Gaming laptop is a powerful yet incredibly lightweight laptop. It weighs only 5-6 LBS. Though the battery life is up to 7 hours, the laptop is totally worth its price. Dell- this brand itself is a seal mark of superiority. The processor and the display of Dell Inspiron 15 7000 Series are more or less same as compared to the above-mentioned Acer’s laptops. The Turbo Boost technology, 1TB 5400 rpm Hybrid Hard Drive with 8 GB cache, backlit keyboard, and anti-glare LED-backlit display offer an impressive speed and graphics when it comes to gaming performance. It has ‘Window 10 Home’ operating system which is the real power of this gaming laptop. If you want a good gaming laptop at a reasonable price, get this one. 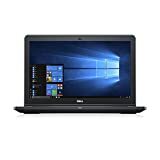 Dell Inspiron 15 5000 5577 laptop has the same processor, memory, and display as Dell Inspiron 15 7000 Series but it costs cheaper. The earlier one must have some other unique functionalities but as far as gaming is concerned, Dell Inspiron 15 5000 5577 also works like a charm. This gaming laptop comes with 8 GB RAM and can support up to 32 GB RAM. And the best thing, it has an impressive battery life. You can play for 6-7 hours without plugging the charger. If you’re not patient enough to wait even for jiffy to let the page load after clicking it, then buy this one. 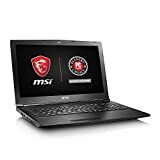 MSI GL62M 7RD-1407 gaming laptop is amazingly fast. The processor, RAM, and display are almost same as the other gaming laptops but it functions in a way that loading time is relatively fast. It has a dedicated GPU and comes with a GTX1050 graphics card which is really good for a gaming laptop. Not to forget, it also comes with a Cooler Boost 4 which helps you to play at your best by cooling down the heat. With its 7th generation Intel Core i7 7700HQ quad-core processor, dual-fan thermal design, anti-ghosting technology, 1TB HHD, and 256 GB SSD, this gaming laptop has some groundbreaking functionality. You can customize your gaming styles, statics, graphics, and colors in this computer. It comes with RGB lighting which makes the graphics even more eye-catching. If the functional capacity hasn’t convinced you yet, the sleek look of this gaming laptop will surely make you fall for it. If you’re a heavy PC gamer, MSI GL62M 7RDX-1408 gaming laptop is designed for you. 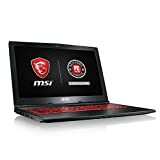 With its Intel i7 7700HQ processor, Intel H175 Chipset, GTX 1050 2GGDDR5 graphics card, 8 GB Ram, and 128 GB hard drive, MSI GLM62M 7RDX-1408 gaming laptop gives an incredibly seamless experience for almost all games. You can play even at the max setting without any hassle. It also comes with a red backlit keyboard and cooler boost 4 which add value to this gaming laptop. 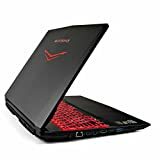 Acer Nitro 5 gaming laptop is a bit costlier as compared to other gaming laptops but it has a value to boast for its price tag. The specifications of this gaming laptop include i7 7700 HQ processor with upgradable turbo boost technology, 16 GB DDR memory, 1 TB high-performance hard drive, SD card reader, dual fan cooling, and NVIDIA GeForce GTX 1050 Ti graphics. With nice looks, radical specs, and a smooth performance, Acer Nitro 5 gaming laptop is certainly a head-turner in the market. The cheapest and first HP gaming laptop on our list! It has quite a different specification as compared to the above-mentioned gaming laptops. 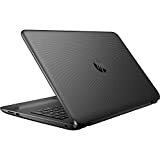 It features AMD Quad-Core processor integrated with AD Radeon R2 graphics, 4 GB RAM, 500 GB hard drive, a multi-touch gesture supported touchpad, and the Window 10 Home operating system. The best thing you’ll love about this laptop is its ‘SuperMulti DVD/CD Burner’ feature which supports up to 11 varieties of media formats. We just talked about the cheapest gaming laptop in our list and here comes the costliest one. If you’re a gaming beast, this ultra-gaming laptop is made for you. It has 32 GB RAM, 512 GB PCle SSD, and GTX 1020 Ti graphics with Window 10 Home operating system. What else can you ask for? Play every game at max setting and experience the real fun of gaming. These are the top 10 best and most powerful laptops. Just go through the list again and get the one which is designed for you.